McGill University's official Bellairs Research Institute link gives general information about Bellairs. Follow the Facilities link for concrete information about room rates etc. General facts about Barbados, an island in the North Atlantic ocean NorthEast of Venezuela are found in the CIA World Factbook. One Barbados dollar is currently worth 0.5 US dollar. US dollars can be used almost everywhere, though change is given in Barbados dollars. If you plan to take the bus to Bellairs from the airport, you need exact change. You can get Barbados dollars at a small exchange place in the airport, before you go through immigration and customs. As of March 1st 2004, visitors from most countries require a valid passport and return ticket to enter Barbados. 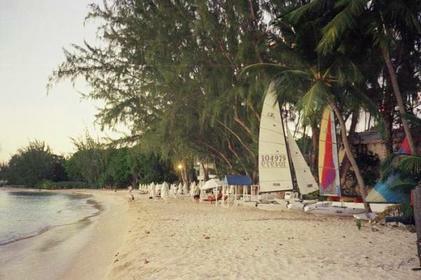 the www.barbados.org site gives information on visitor documents such as visas for citizens from certain countries, how to obtain a drivers license (car rental companies can issue a drivers license if you have a valid license) and accepted credit cards (most). The Barbados Tourism Encyclopedia points out the " Seven Wonders of Barbados". The fishing community of Oistins has a weekly Fish-Fry with island music and local food. The following coastal region and small island paper gives some technical information on currents around Barbados as well as about the Bellairs fringing reef, a coral reef off the Bellairs estate. either take a taxi (about $60 Bds, split the cost if you share) or a bus ($2 Bds). If the taxi driver does not know where Bellairs is, say it is located in between Folkstone Park and the Coral Reef Club on the North side of Holetown. These two landmarks are famous; but with all the workshops during the past 15 years, Bellairs is also becoming famous among taxi drivers. Taxi driver John is very reliable: 420-1589 (office) or 230-4199 (cell). If you want to take a bus, there are some direct buses but more interesting is to go to Oistins first and change to another bus. A detailed map shows where exactly Bellairs is located. Claude Crépeau's Bellairs page gives directions in photos, including one of the "Coral Reef Club Goods Delivery Entrance" sign. This is also the entrance to Bellairs. The cost for the stay (breakfast, dinner, and lodging) needs to be settled before your departure with the Bellairs office. The office accepts Visa and Mastercard credit cards as well as cash. It is possible to us use credit cards such as American Express in banks to obtain cash. The following map [pdf] shows the location of the Bellairs facilities (offices, rooms, dining hall, etc.). When you arrive at Bellairs just go straight to the dining hall. There, you will find either people or a message for you on the bulletin board or the blackboard telling you which is your room. If you don't find anyone in the dining hall, look for us on the beach. Breakfast is provided by Bellairs and is included in the room rate. The breakfast food is kept in the kitchen fridge. This food is to be used only at breakfast which must be finished by 9:30 a.m.
We are responsible for washing all of our dishes after breakfast. Please leave the kitchen clean. We can make coffee in the kitchen any time we want. The available coffee at Bellairs is of the instant variety. If you wish to bring your own coffee you may do so. Dinner is provided by Bellairs and included in the room rate. If you need specific food, you will most likely find it at the local supermarket. There is a guest fridge in the dining hall where we can keep our own private food. Please label your food and remove any left over when you leave. Sand in the shower drains can cause enormous blockage problems. Please be sure to rinse off the sand from your feet before entering your rooms. There are water taps outside both blocks of rooms for this purpose. Please leave your room locked when you are not in. You can leave your money and other valuables in the safe in the main office. If you leave some money in your room we suggest you put it in a purse inside a locked suitcase inside a closed closet; certainly do not leave it within arm's reach of the back windows facing the public park. This was fine ten years ago but Barbados has undergone a lot of progress in recent years. Telephones and computers are available in the main office (sort of). Internet connection speed is sufficient to read mail, but insufficient to download papers. Bellairs is situated on one of the best beaches in Barbados, so don't forget your bathing suit for swims before breakfast and in between work sessions. Above all, don't forget sunscreen ! Depending on the weather conditions and other factors, we may get some mosquitoes (this is typically more of a problem during the rainy season). You should bring some bug repellant just in case. Note that there is no malaria on the island of Barbados. Here are links to some recent Computer Science workshops organized at Bellairs. 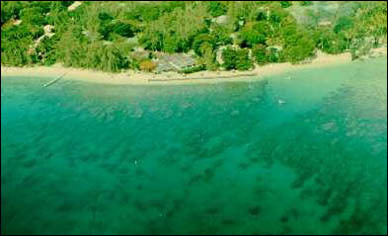 They contain various practical information about Barbados and Bellairs. They also demonstrate the success of bringing top researchers, by invitation only, to a remote location without luxury and with few distractions. The ultimate example is the highly succesful Workshop on Computational Geometry which will soon be organized by Godfried Toussaint for the 20th time. The first Bellairs CAMPaM workshop. The 16th Barbados Workshop on Computational Complexity. The 20th Winter Workshop on Computational Geometry. The first International Workshop on Computational Robotics for Unstructured Environments: Underwater Environments / AQUA Field Trials. The Bellairs Workshop on Domain Theoretic Methods in Probabilistic Processes. Logical and Semantical Methods in Quantum Computation workshop. Most of the information on this page is scavenged from the above pages.